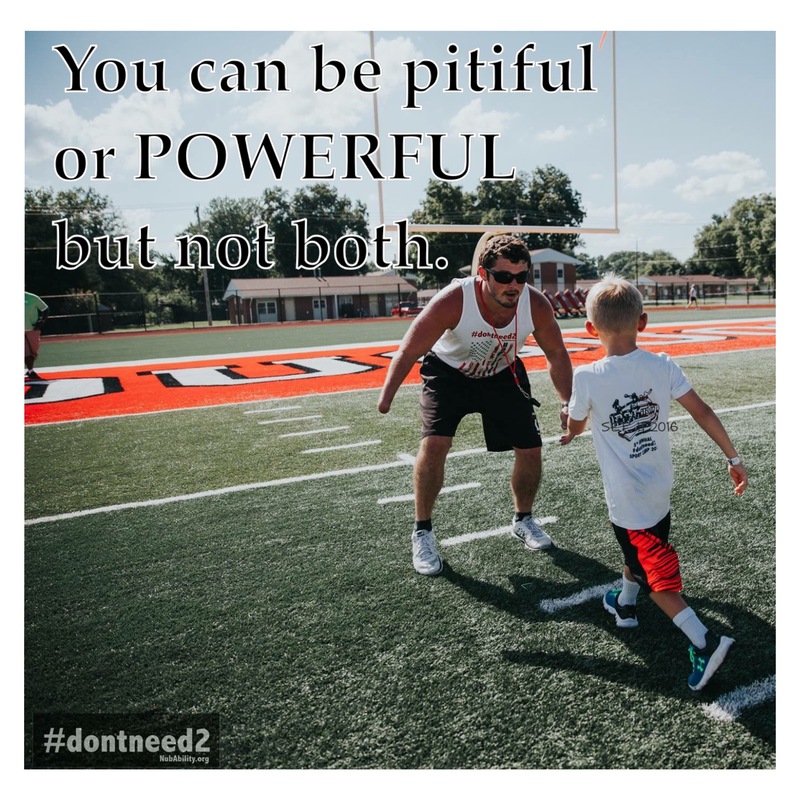 When I look at this photo taken during the camp I organize for our foundation, NubAbility Athletics, it reminds me of one of my favorite passages in 1 Peter and something I tell my kids (and husband:) every morning they walk out the door, “Be a blessing!”. Pictured is a founding member of NubAbility’s coaching team, Hayden Filson-Thompson. Hayden is encouraging a young athlete at camp that came to learn from her, because she played like her. Hayden played college softball with only one hand. As good as she is as an athlete, she’s even more of a gifted coach, instructor and exhorter. Hayden brings out confidence in children with various limb-differences like a well of life-giving-water sprung forth in a desolate land. She helps them to SHINE! She is determined to be a blessing. Hayden sacrifices her time and comfort several days a year to encourage courage in the youth athletes she serves. Her parents are big supporters of her volunteer efforts with NubAbility Athletics. While I’m not certain they commissioned her each morning with the exact words I said to my boys, I am certain that their parenting cultivated a servant’s heart in her. Her mom, Tina and I have such a common chord in parenting a child with a visible difference or parenting a child period. We taught our kids to be powerful, not pitiful. Powerful in their abilities, adaptations, and in their service to others. Powerful in heart. In short, we taught them they will be blessed by being a blessing. Our kids and many other coaches that volunteer at NubAbility Atheltics have lived out this commandment and principle long enough now to prove God’s instruction. What are you going to say to your kids today? Next Post You’ve Been Slandered! Now What?